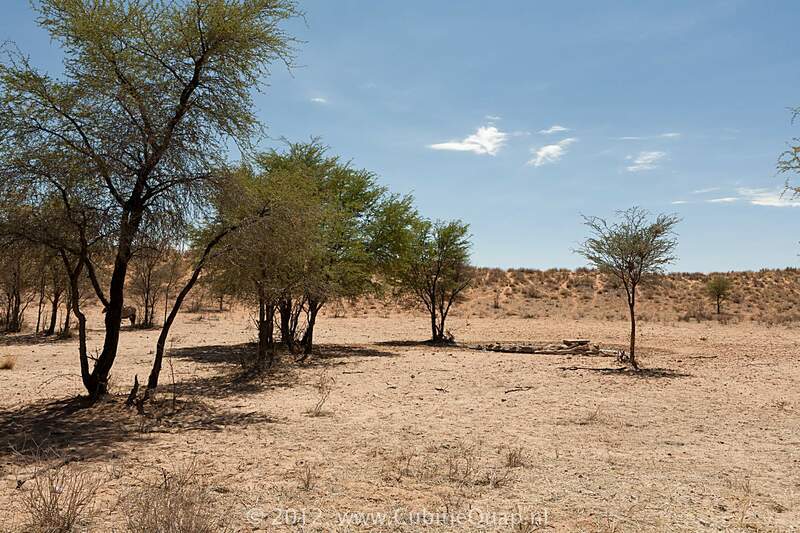 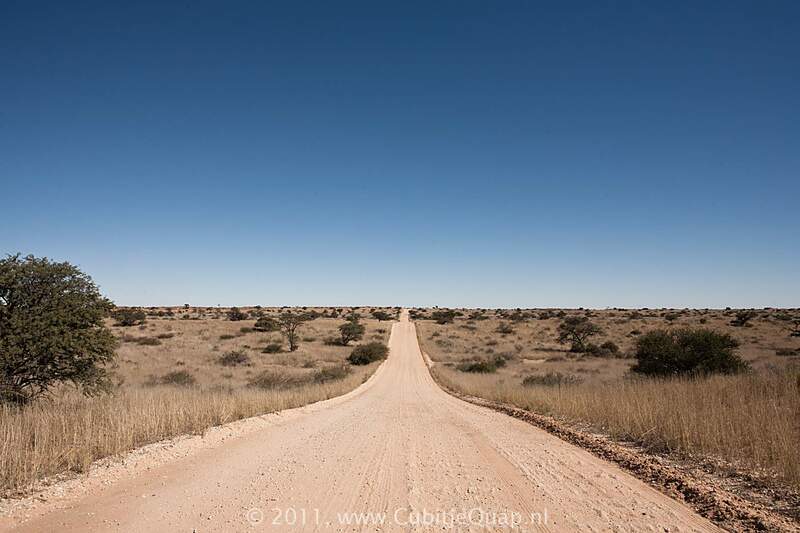 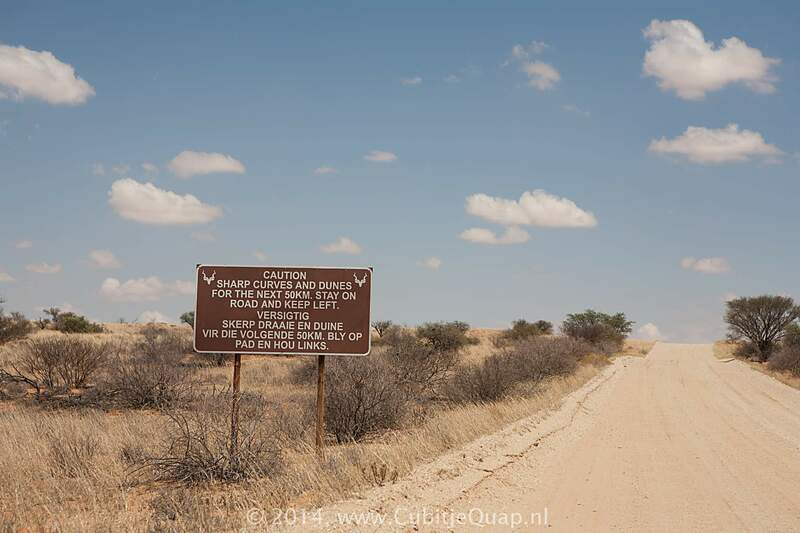 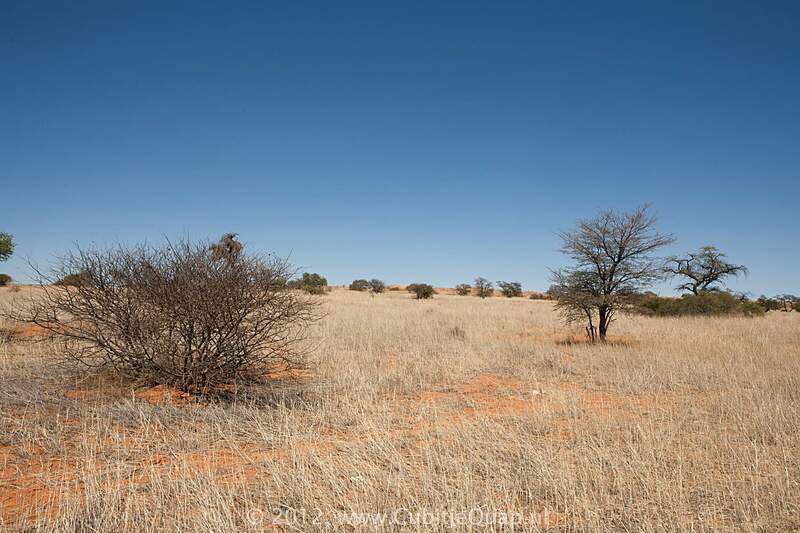 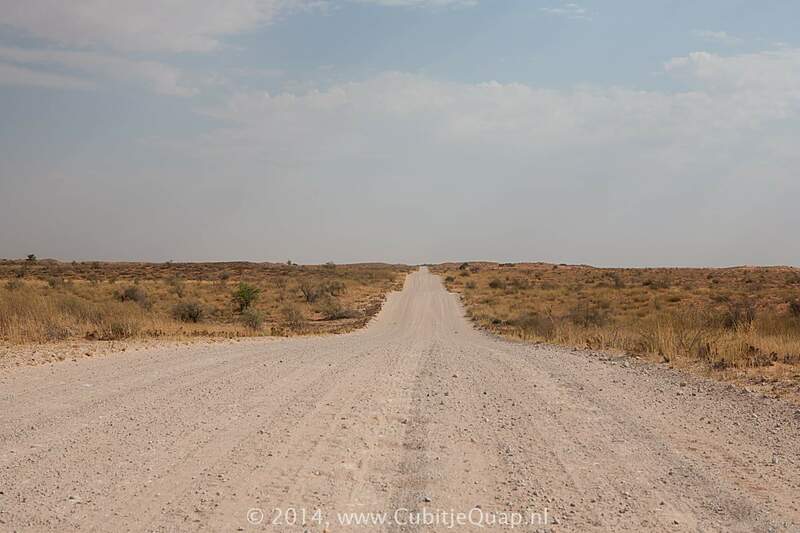 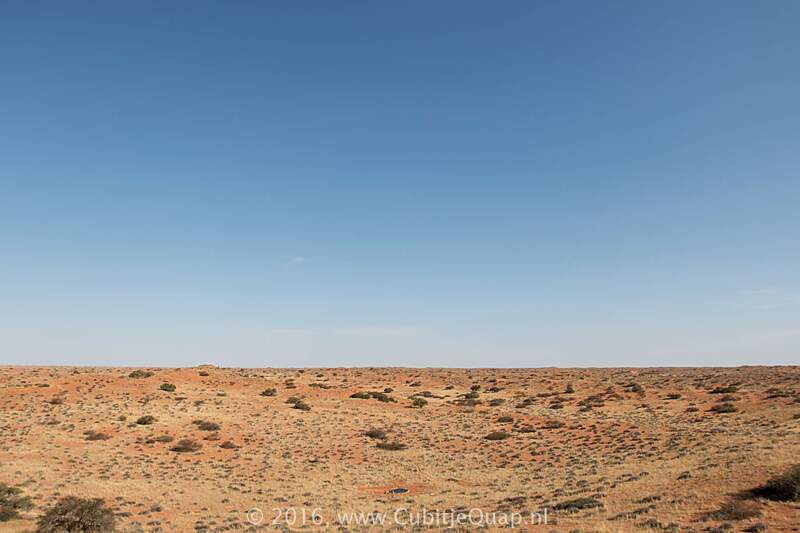 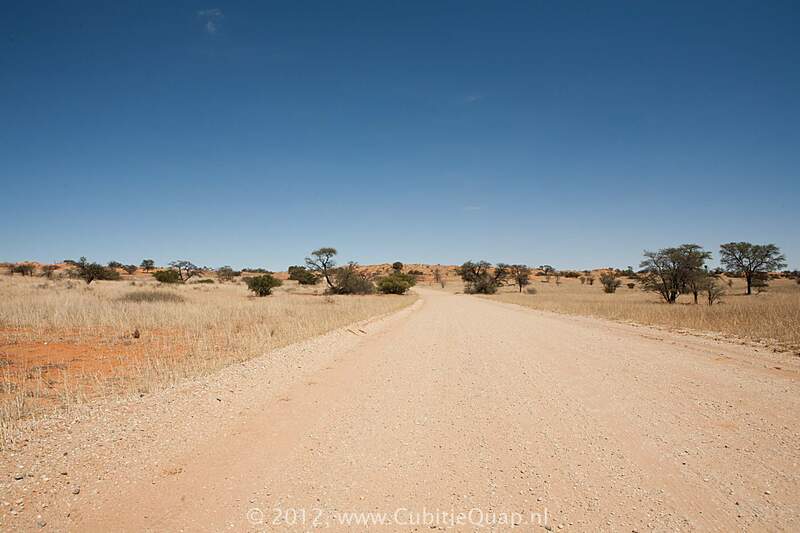 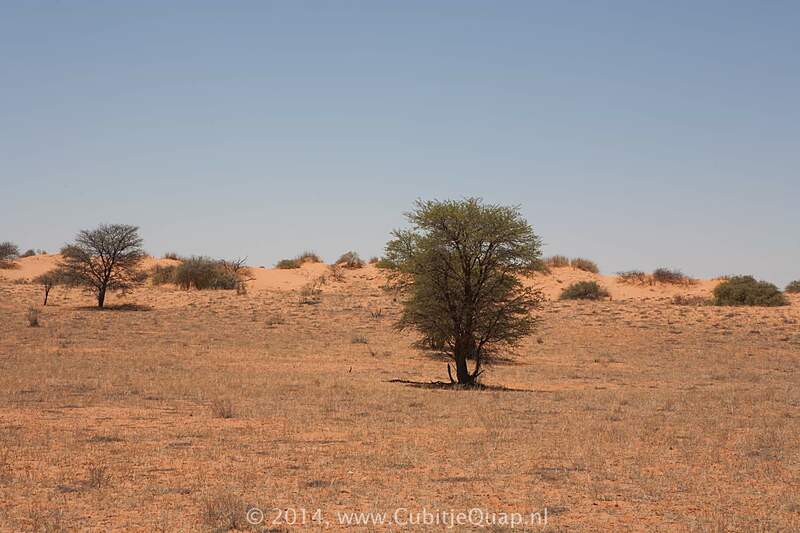 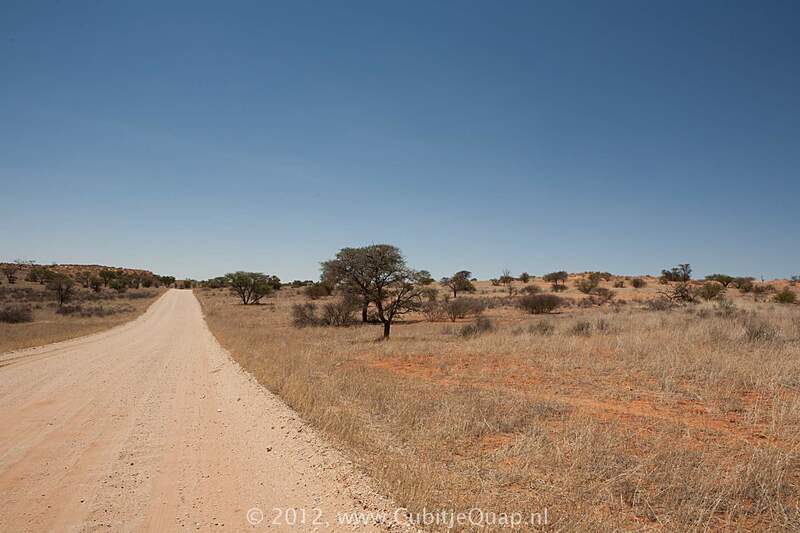 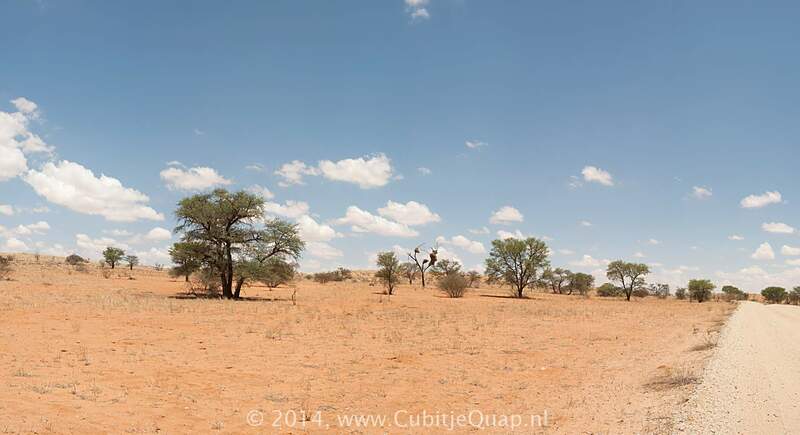 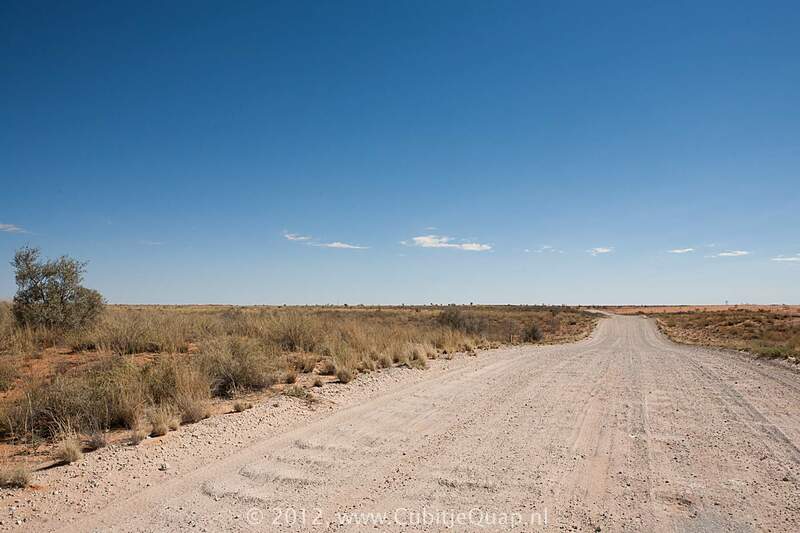 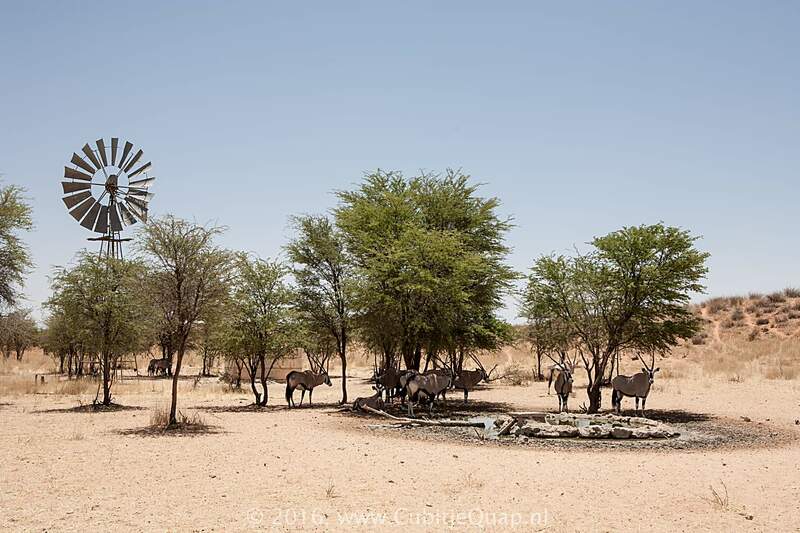 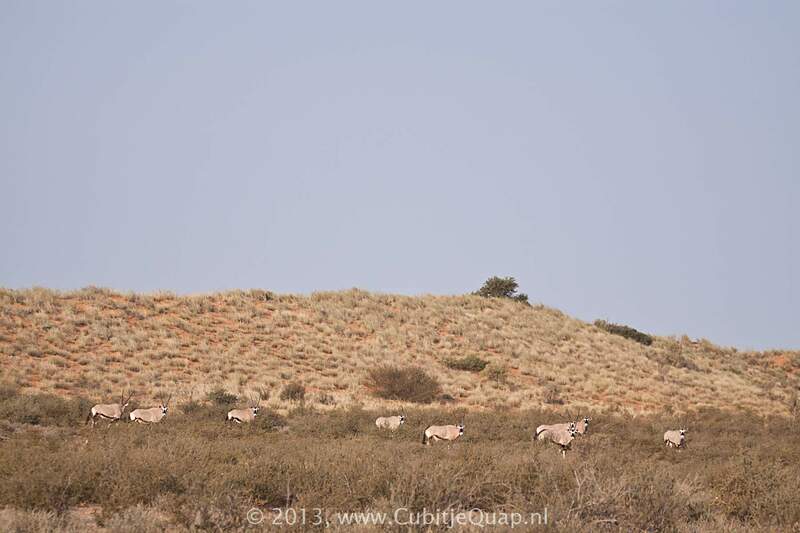 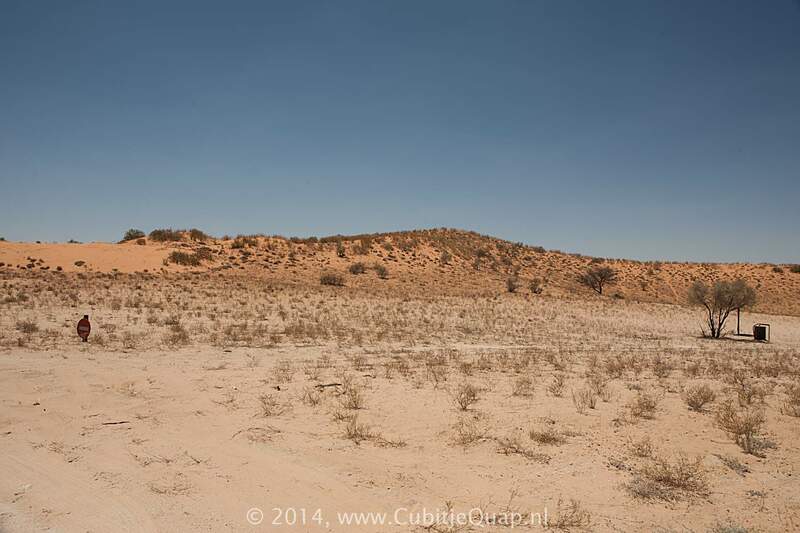 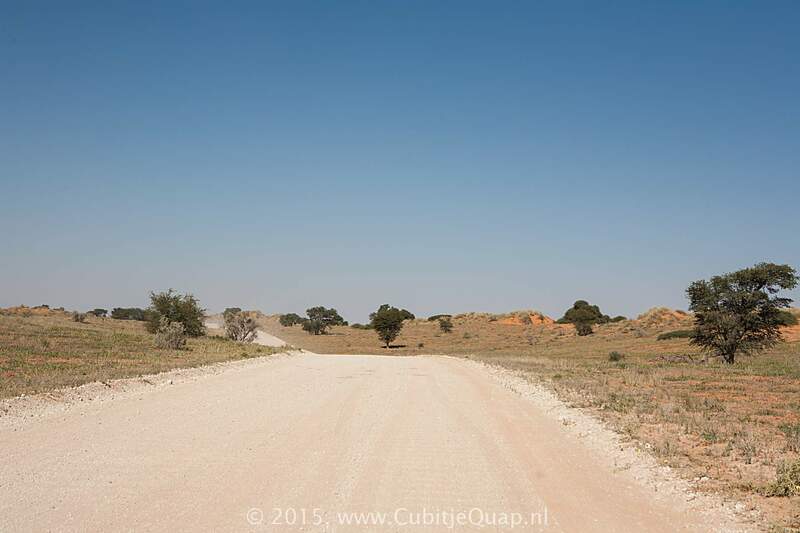 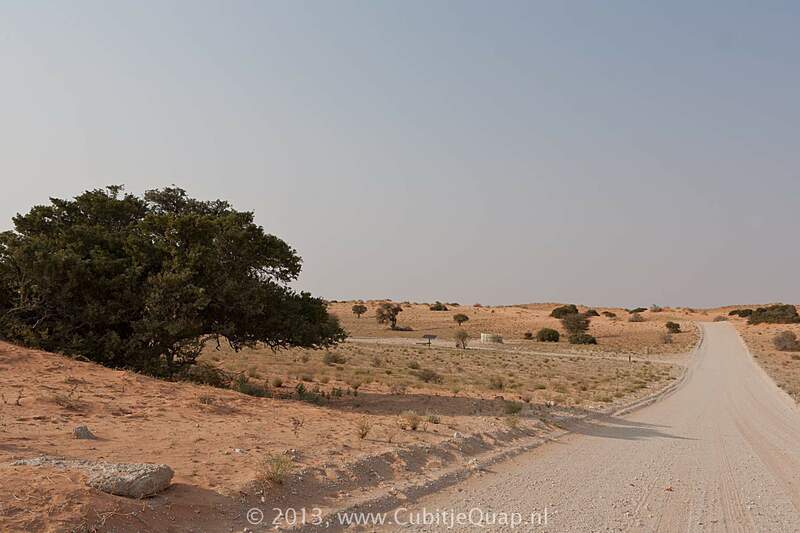 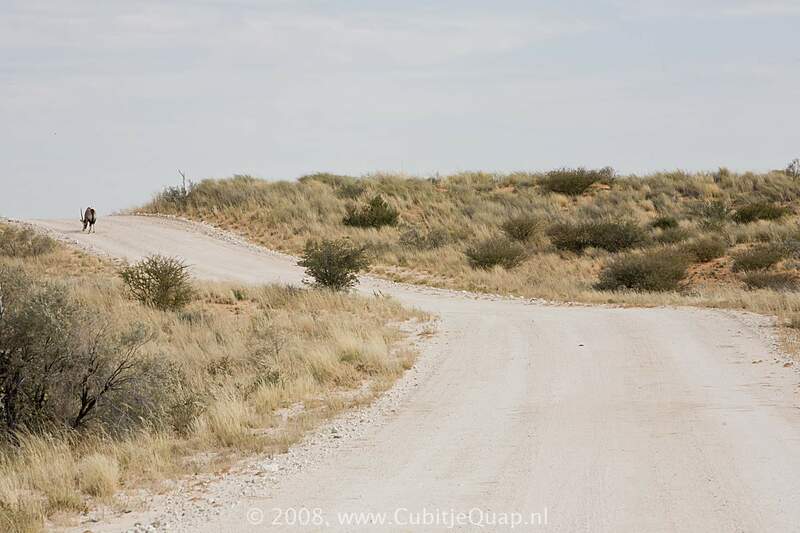 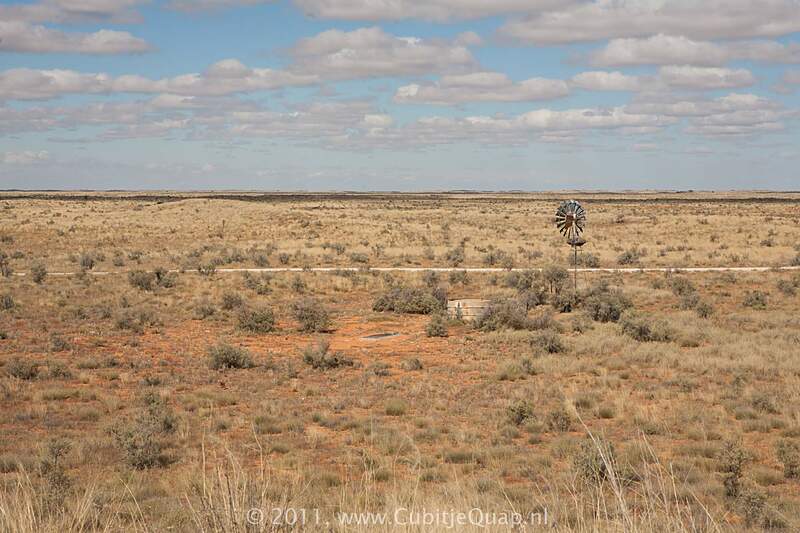 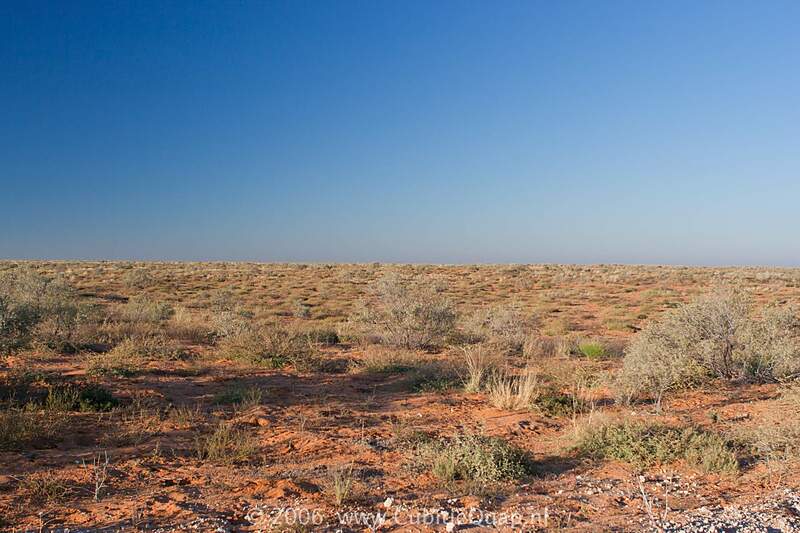 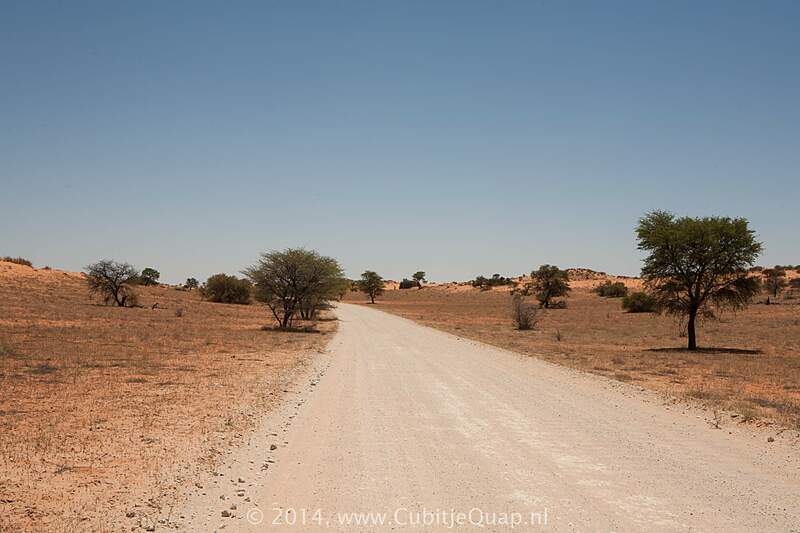 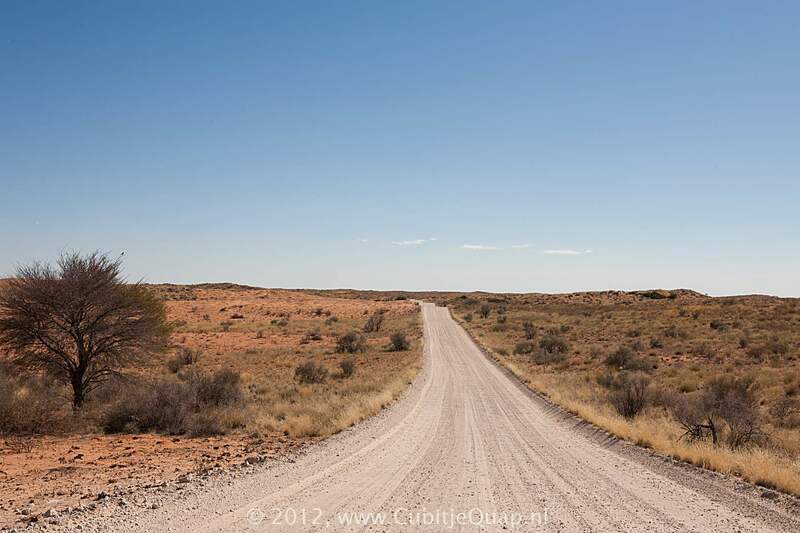 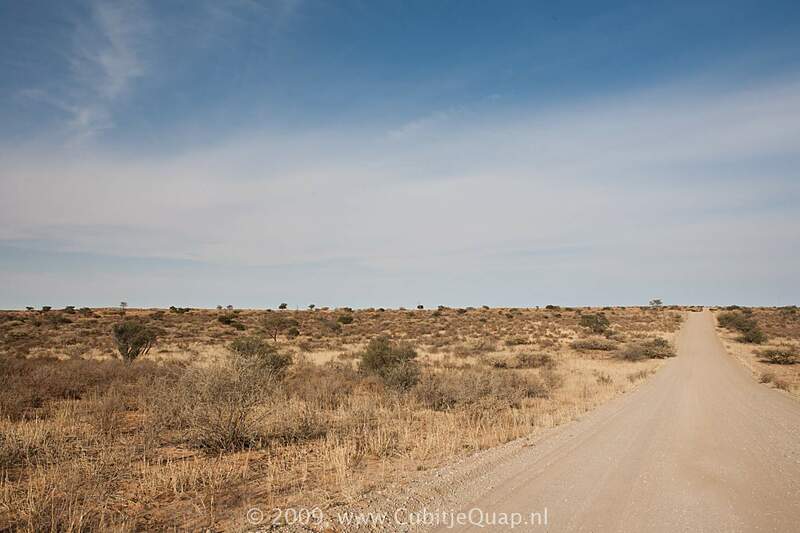 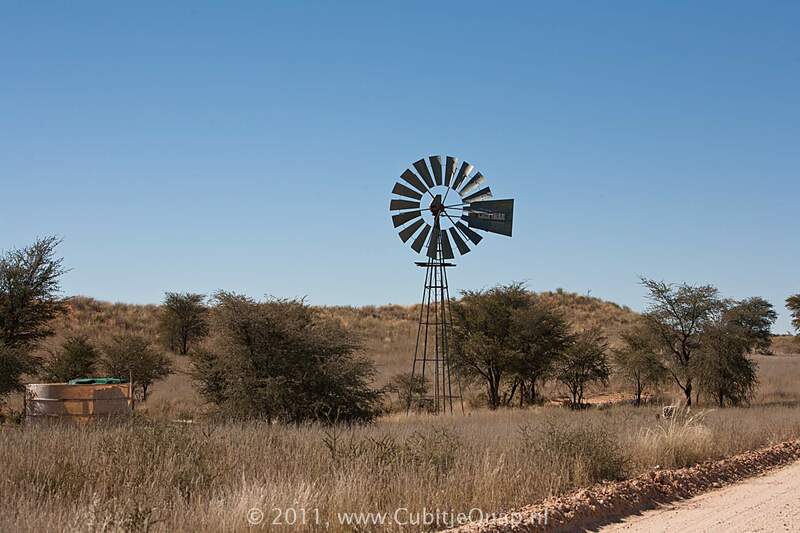 The colour of the dunes in the southern Kalahari can be attributed to the high iron oxide content of the sand. 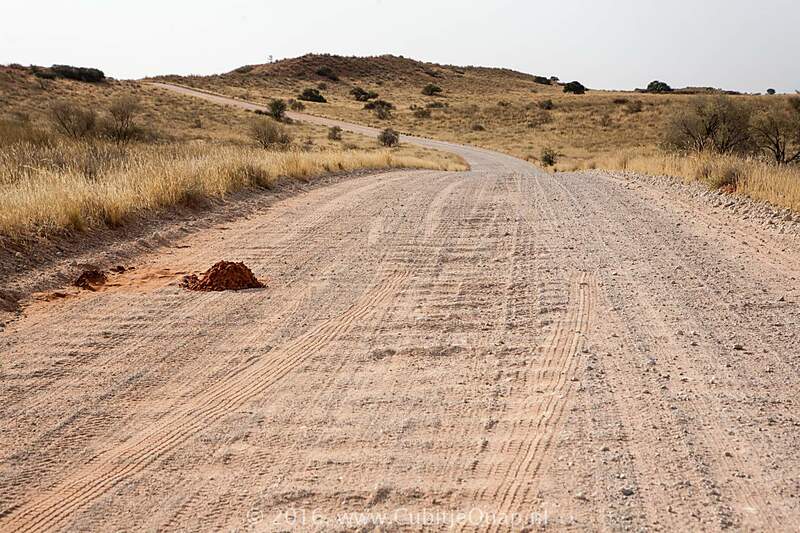 In areas of higher rainfall and in shallow areas where water collects, the iron oxide is leached out, causing the sand ultimately to turn white. 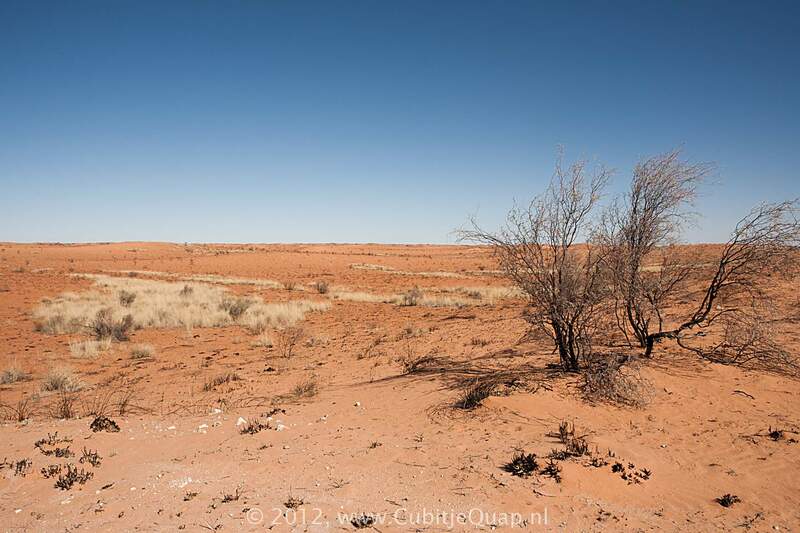 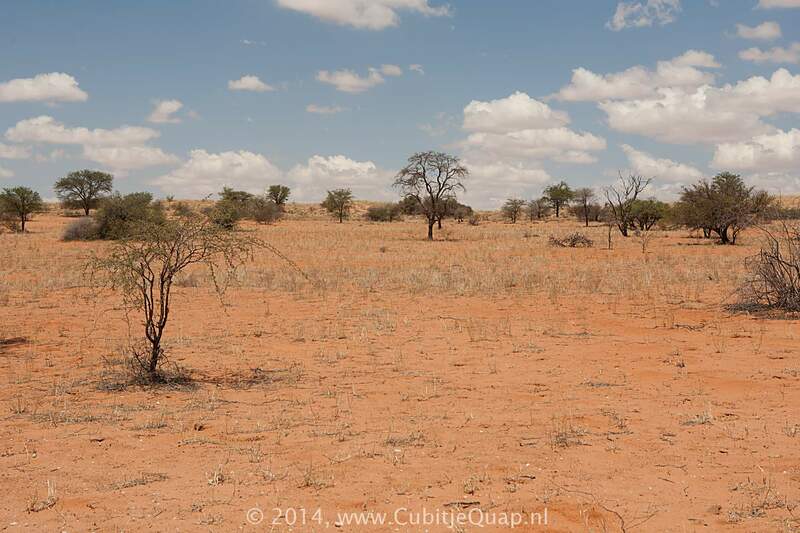 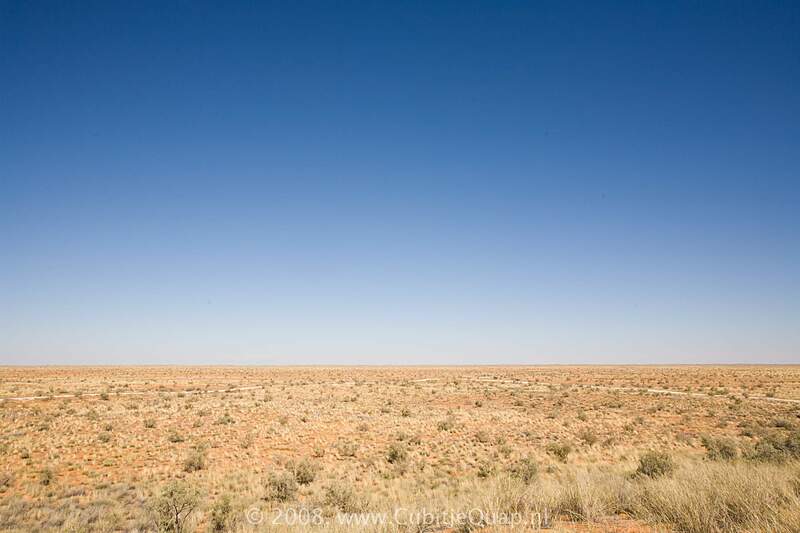 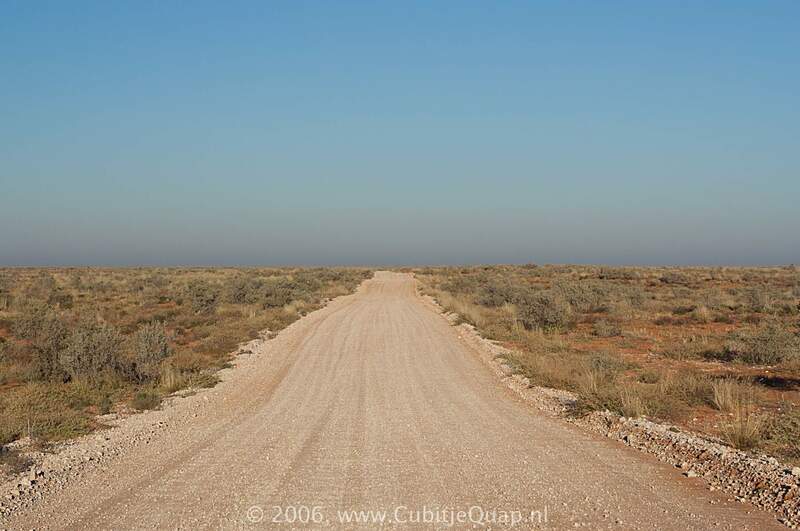 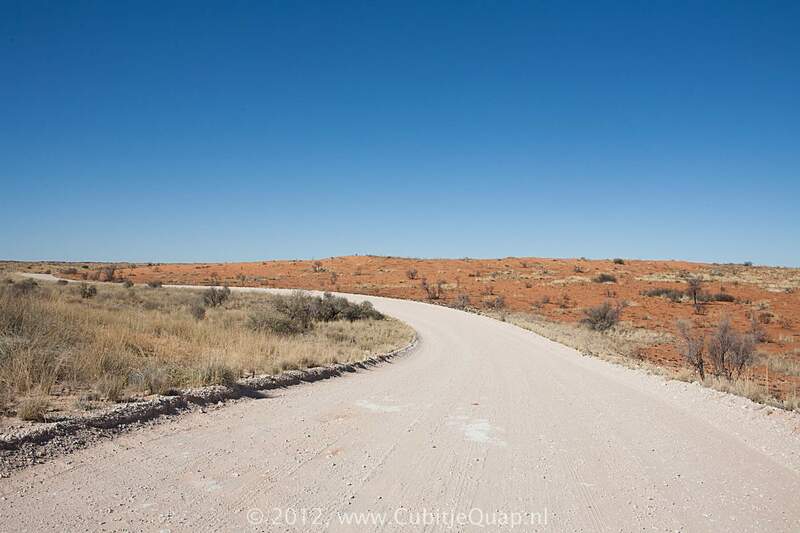 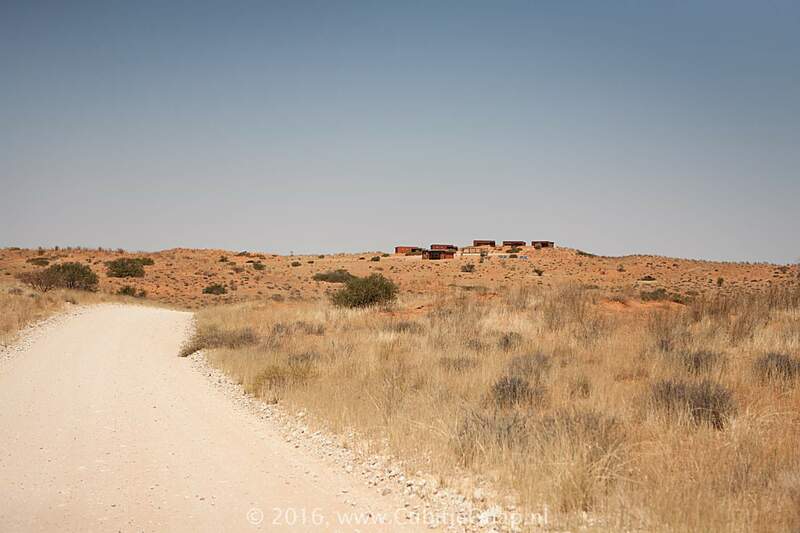 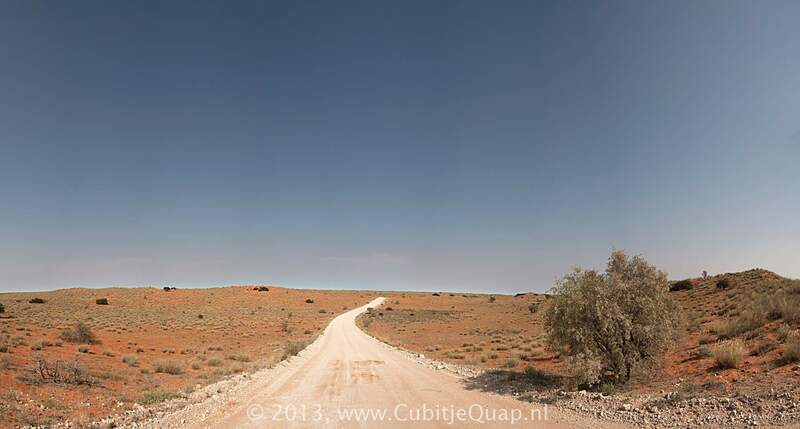 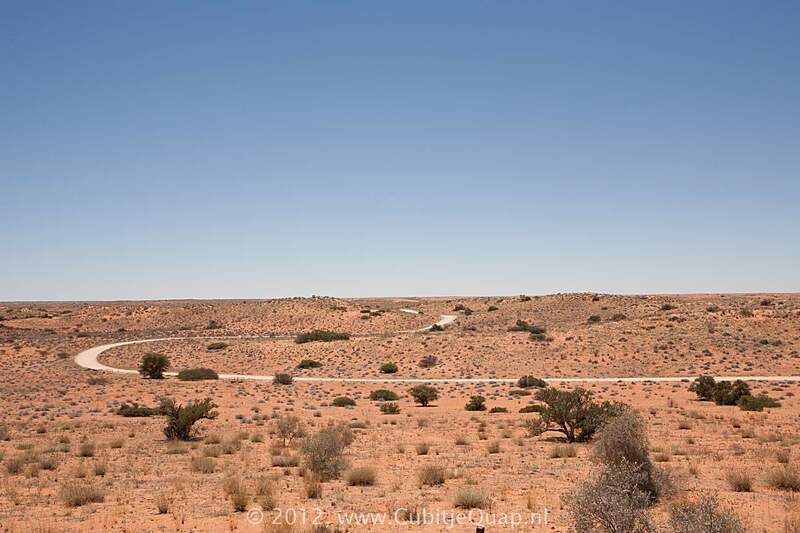 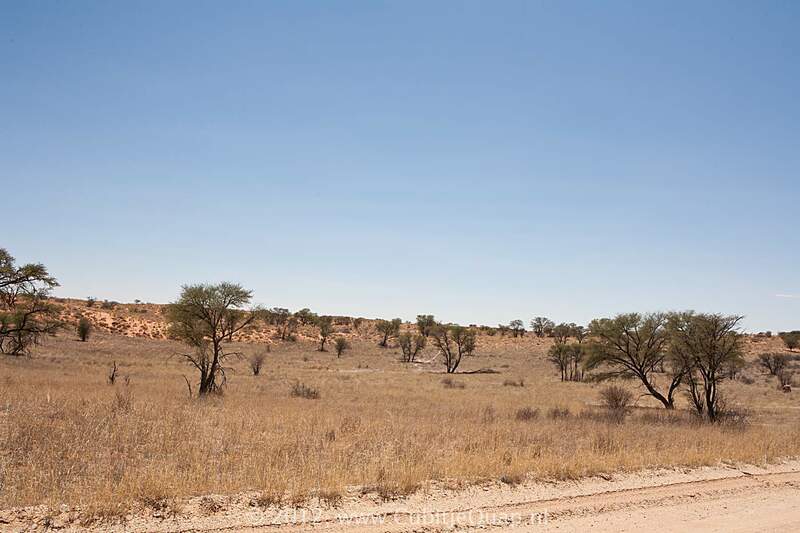 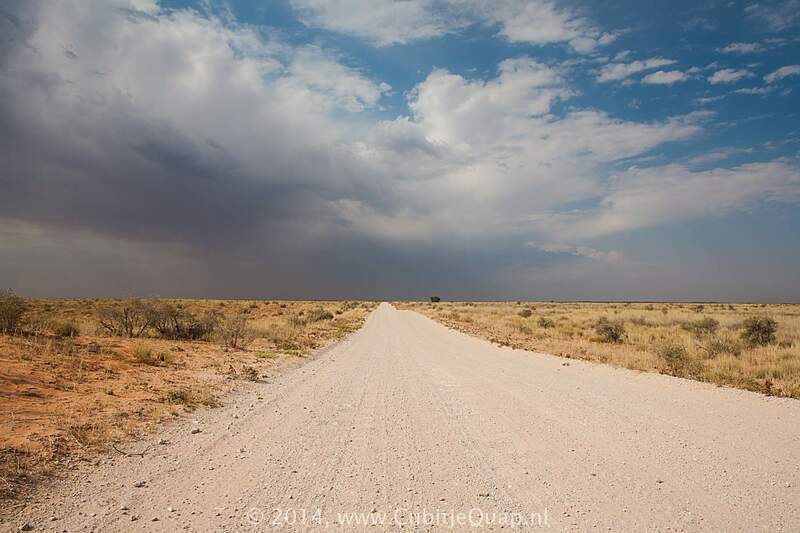 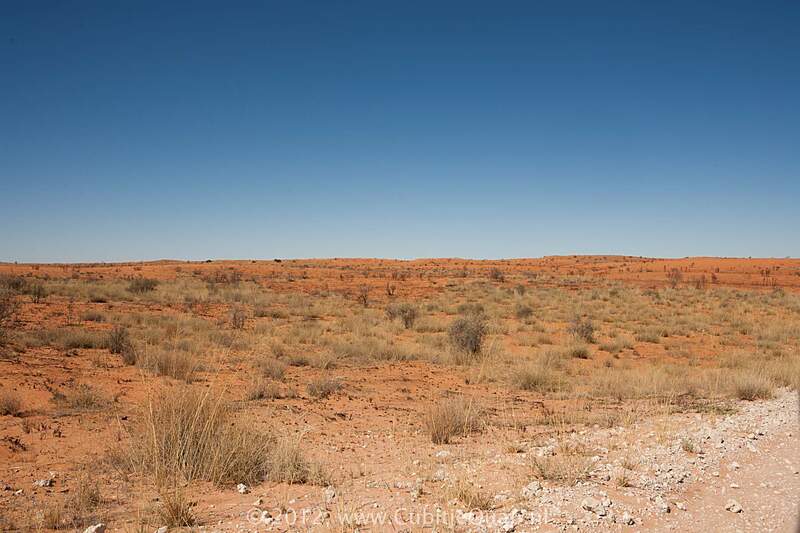 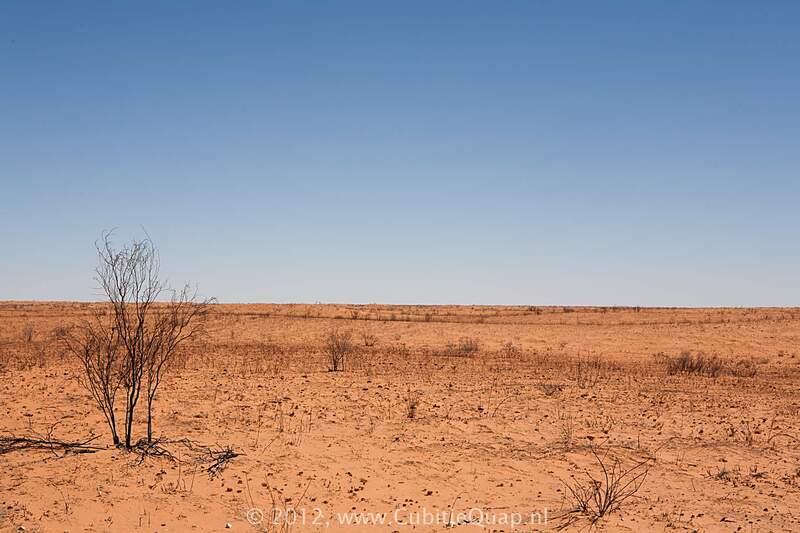 The gradual effect of the leaching transforms the desert into a wonderful variety of colours. 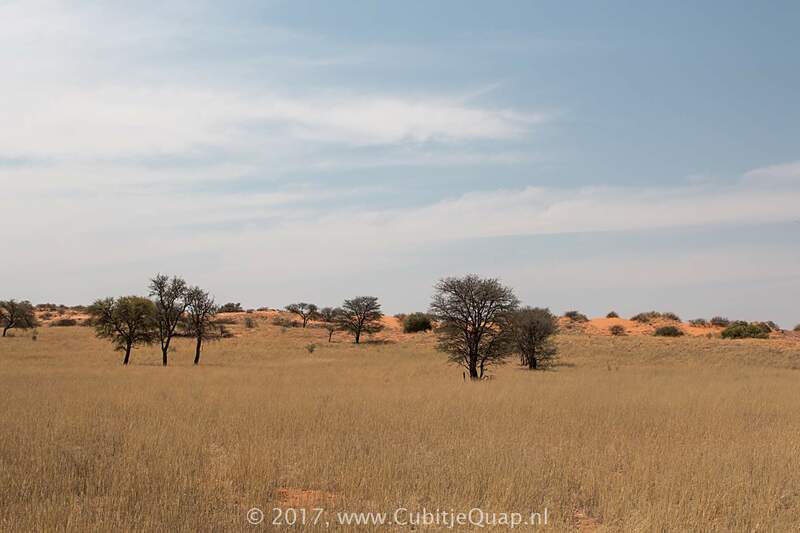 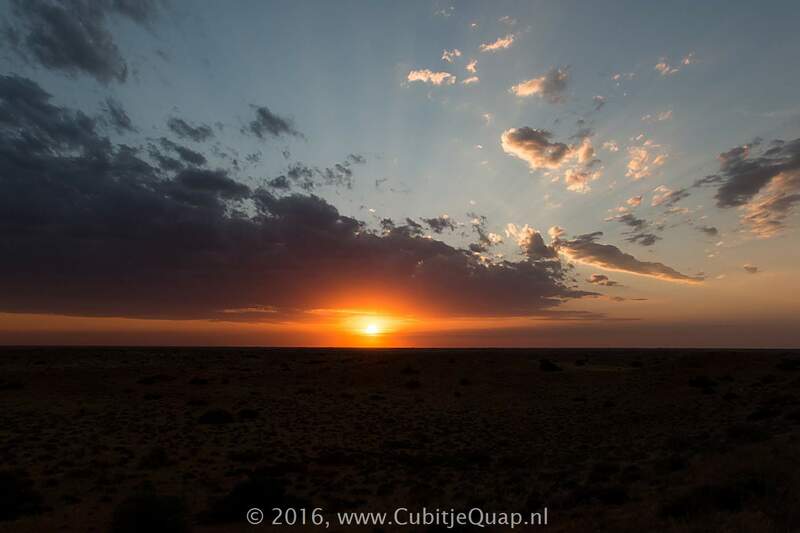 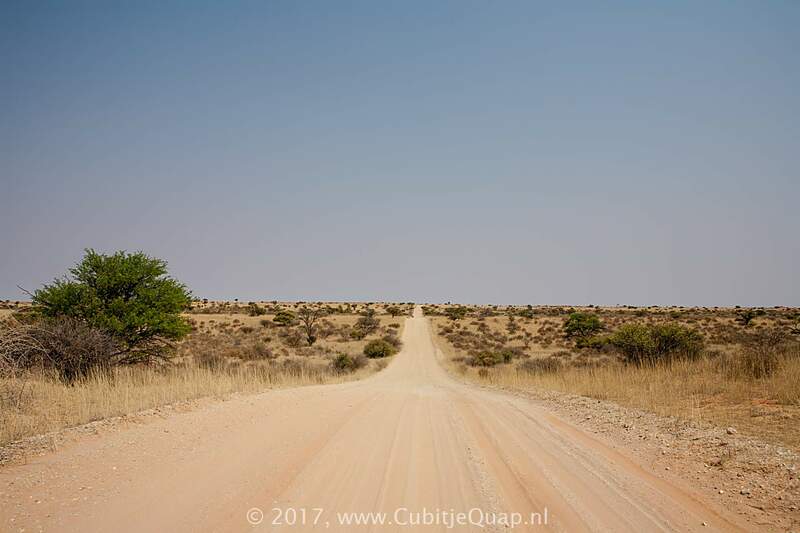 (Hidden from view by the Kalahari dunes are layers of ancient sedimentary bedrocks, formations that are believed to be rich in fossils.) 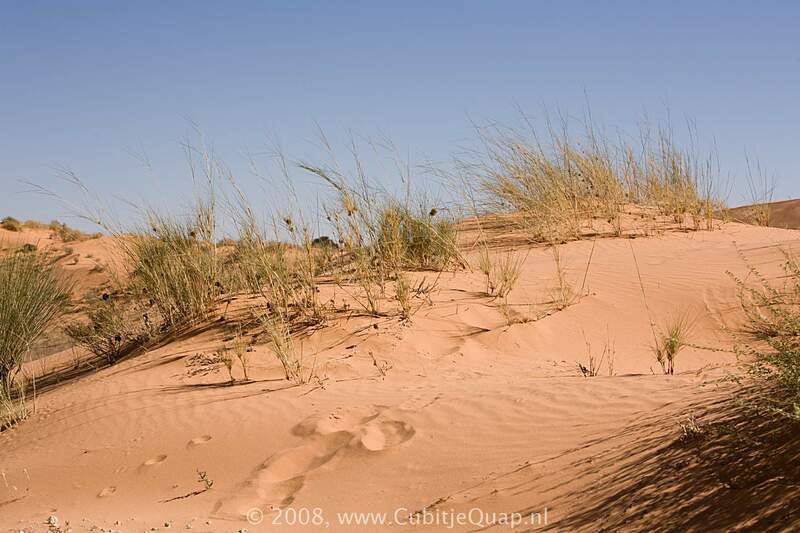 Many sand dunes are stabilised by vegetation. 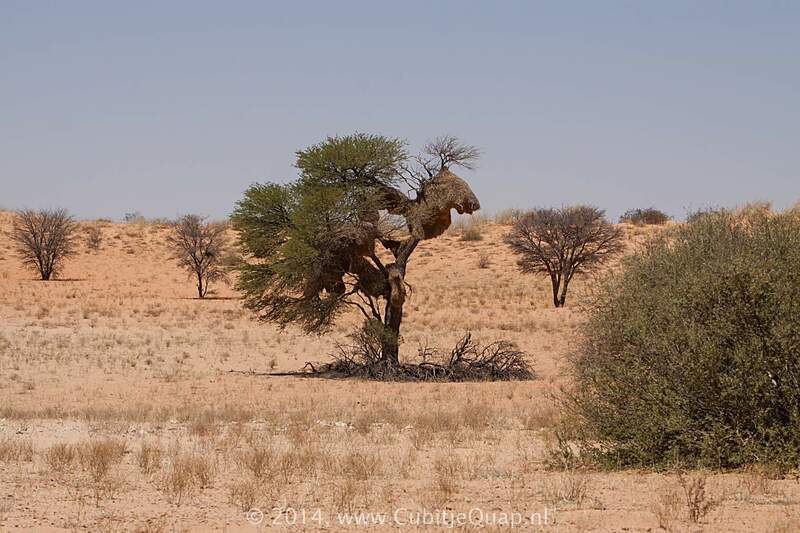 They owe their characteristic shape to wind action that exposes the moist sand beneath the dry surface. 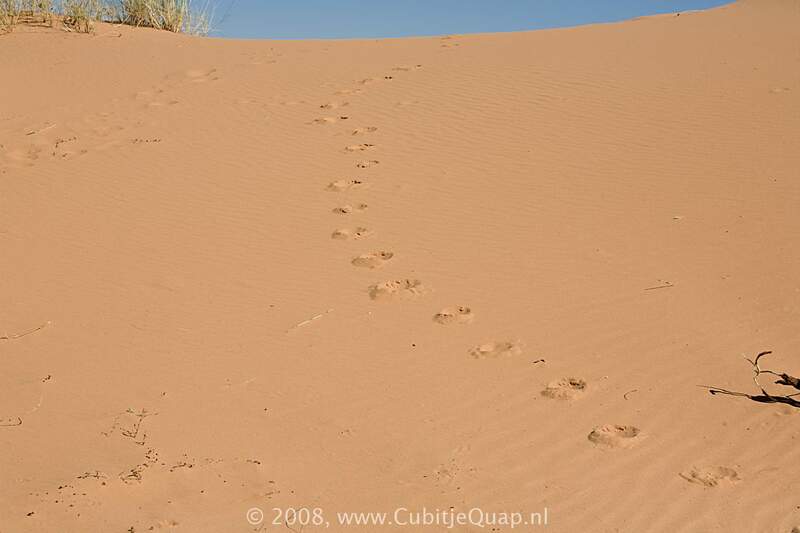 The damp layer is eroded further and the resultant windborne particles are deposited on the south-west side of the dune, causing a characteristic gentler gradient.